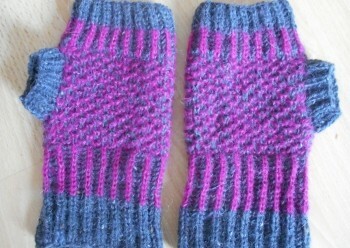 This hand warmer is great for those that want to explore a few brioche stitches. They are worked in the round so that there is no sewing up or bulky seam. The fabric gives a warm, cosy feel - perfect for those colder days. This is a good pattern for those that are just beginning their brioche exploration. A Snuggly Cabled Scarf to keep the cold away during the winter - long enough to wrap around twice. Interesting cable pattern keeps the scarf enjoyable and quick to make. This easy eyelet snood is chunky and cosy, perfect for the cold days of Winter. It is easy and enjoyable to work with it’s simple rhythm that results in an attractive fabric. The stitch is great for those beginning to experiment with lace stitches, as it’s easy to get to grips with and grows quickly too. Yet, it’s not too simple that it would prove boring for those that have knitted for a long time. 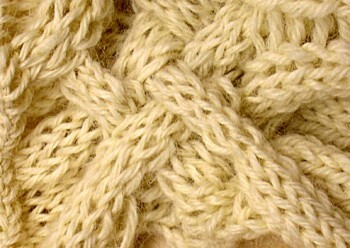 I am an experienced knitter and this is one of my favourite stitch patters. It is worked in the round so that there is no sewing up at the end, just the ends of the yarn to sew in, and it can be made bigger or smaller in height by working more or less repeats of the pattern, depending on the knitter’s preference.